With news of a long extension for young Cubs first baseman Anthony Rizzo and an increasing trend of signing players to extensions before their arbitration years, some fans may be looking for the Mariners to enter that club. While the Mariners have had a relative lack of success as it relates to top-prospect-to-star conversions, the team does have some players that are several years away from free agency that they may consider extending at a discount rate. The key components to the Rizzo deal, and also the Paul Goldschmidt and Allen Craig deals the preceded it, were Rizzo’s relative youth and service time. Rizzo had almost a year of service time, Goldschmidt nearly a year-and-a-half, and Craig had about two-and-a-half years of service time. Rizzo is in his age 23 season, Goldschmidt in his age 25 season, and Craig in his age 28 season. Rizzo has basically spent his career following Jed Hoyer, who helped draft him in Boston, traded for him in San Diego, and then was on the staff that traded for him in Chicago. Rizzo has barely been an average first baseman in about a full-season’s worth of plate appearances, but at only 23 years old average seems less mediocre. There’s no doubt that the Cubs front office has a larger sample of not only actual game-action experience with Anthony Rizzo than any other team, but they’ve likely also invested a fair amount of time and resources analyzing Rizzo’s future prospects as a big leaguer. Of course, that doesn’t guarantee the deal will work out, but all things statistically point to continued growth and Rizzo’s value exceeding the value of his contract, and if anyone would know otherwise, the Cubs would. Craig and Goldschmidt’s situations are basically the same, as they have spent their entire career’s within the same organization, and their organizations have a tangible advantage on teams that may have been looking to pursue either of them in the future. Of course, this post isn’t here to invoke the virtues of signing any one of Rizzo, Craig, or Goldschmidt specifically, or even as a general assessment of the virtues of signing pre-arbitration players to long-term deals. Those virtues have been been well documented and exulted. Instead this post is here to look at Mariners with whom the Mariners may be able to enter a similar agreement, and whose production would also justify looking into an early extension. This post will not include Dustin Ackley, who I considered for the same kind of extension last year, but who is represented by Scott Boras, and who is already signed to a reasonably lucrative contract. He’s also been pretty bad. This post is also is created, by design, without any sort of inside information about whether or not the Mariners or the player in question would be willing to agree to such an extension. The Mariners have been given a lot of credit for drafting well, and while that’s not all related to players that remain in the minor leagues, a disproportionate amount of this organization’s talent has shifted to the minor leagues since Jack Zduriencik took over. Of course, there wasn’t much talent to shift around before then, but Seager has quickly become one of the league’s better third basemen. Coming into Tuesday’s action Seager had been worth 5.7 WAR in 1008 plate appearances, and has positional versatility that could add value to a player with a bat that is already substantially more productive than that of the average third baseman. Seager’s star potential is limited by his body type – though there have been persistent reports of him adding muscle mass to his lower body – and probably doesn’t figure to develop substantially more power than what he’s already shown. That in mind, Seager already has the ability to play a very good third base, and presumably second base also, which is the position he played in college. He’s considered a passable shortstop, and I’ve argued in the past that he’s got the ability, and may benefit contractually, from learning to play a corner outfield spot. Seager is making barely more than the minimum, and doesn’t have an enormous bonus to fall back on. Goldschmidt is his best comparison in terms of age and service time, though Goldschmidt may have a higher perceived upside and likely will end up with more power. A five-year, $25 million extension may offset some of Seagers lesser perceived upside, though Goldschmidt’s contract terms would probably be favorable for the Mariners ultimately, and Seager would have a shot at hitting free agency again going into his age 31 season, or later depending on if options were included in the deal. Saunders career path in Seattle has been something of a sordid affair. Once a top prospect, many wrote Saunders off as a lost cause, and a likely trade candidate as the front office turned over to the Jack Zduriencik regime. Some years later Saunders was about a league average center fielder last year. Once a guy that struck out a ton, Saunders has cut his strikeouts to a manageable rates while increasing his walks, and has begun to hit for power. Saunders handled the center field duties for most of last year, and while he’s probably the team’s best player/prospect at the position that will be on the team beyond 2013, he probably won’t end up being much more than average at the position defensively. Signing Saunders would be reinforcing any belief that he’s actually made sustainable improvements, and that his reduced strikeouts and increased offensive production in the past two years haven’t been a fluke. While Saunders is closest in age to Goldschmidt, his service time reflects Craig’s most accurately. Craig doesn’t play a premium defensive position, and is two years older than Saunders, but he’s got a much better reputation at the plate. For Saunders and the Mariners, success in an extension may hinge more on length than annual salary, as the paradigm for these contracts seems to include an average salary in the $5-6 million range during the guaranteed years. After the 2009 season the Mariners signed Franklin Gutierrez to a four-year extension worth $20.25 million and that carries a $7.5 million option after this season with a $500,000 buyout. 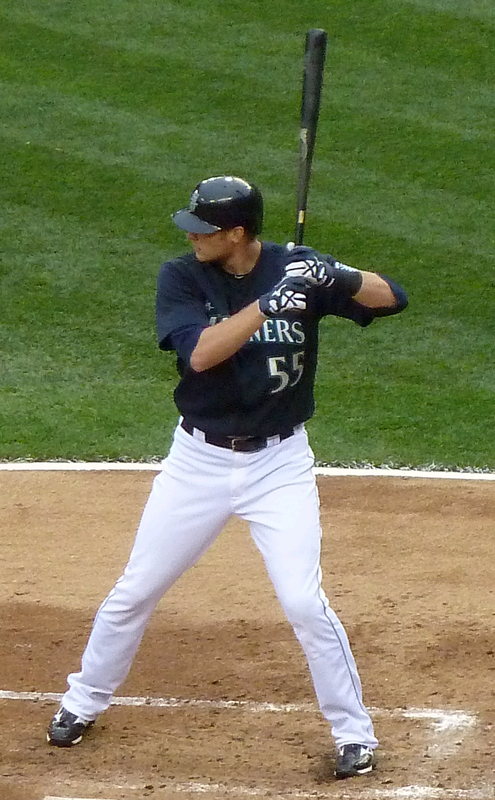 A four-year deal would make sense for the Mariners and Saunders, as the Mariners would have time to build the outfield depth in their farm system and potentially replace Saunders at the end of the contract, and Saunders would have the ability to become a free agent going into his age 31 season, or later if there are options included in the contract. At this point it’s hard to say that Saunders is better than Gutierrez was he and the Mariners agreed on an extension. If you’ll remember, Gutierrez had just come off a historically amazing fielding season in center field and was decent offensively. Saunders may be better offensively though, which ultimately costs more, though he’s a year further away from free agency than Gutierrez was (though Saunders will be basically equal to Gutierrez’s service time at the time of the extension at year’s end). In this case, and concurrent with inflation, signing Saunders to a four-year, $20 million deal similar to Gutierrez’s extension makes some sense. Wilhelmsen is bumping up against the Super Two cutoff, which has been projected at two years and 119 days, but if the projection holds he won’t qualify. In that case Wilhelmsen may be another year removed from a substantial raise, and thus interested in acquiring some sort of guaranteed salary in the future. There aren’t a bunch of great comparisons for super-dominant relievers that are extended way before free agency. The best model for a reliever is likely to be someone like Jonathan Papelbon, who avoided arbitration on one year contracts in 2009, 2010, and 2011 with the Red Sox. In those three seasons Papelbon made $27.2 million, and was coming off of three straight years of utter dominance. Obviously this doesn’t fall in line well with any of the first basemen that were listed earlier in this post, but signing Wilhelmsen to something like a three-year, $15-18 million with a team option or two may make sense for both the Mariners, who may be inclined to pay for a reliever as long as his cost is controlled, and Wilhelmsen, who could acquire substantial long-term security. I agree Seager, Wilhelmsen and Saunders would be worth tying up for 3 to 7 years. Talent prices are going up with the new media deals, year by year is going to be expensive in coming years. I think we should be careful paying Wilhelmsen closer money. The lifespan of a closer is short, and those skills are often over-valued. The Mariners have been turning no-names into closers for years now, and they should continue doing so in my opinion. Though $15M over three years isn’t exactly Papelbon money, and I could that being a good idea.